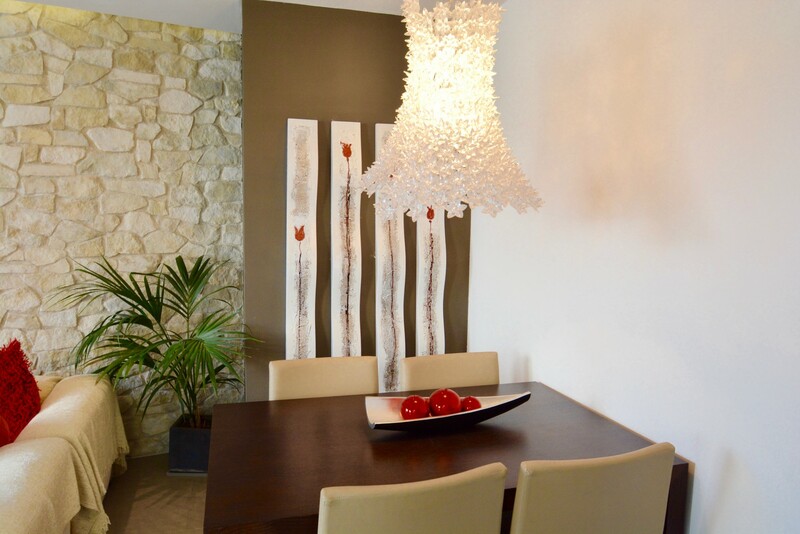 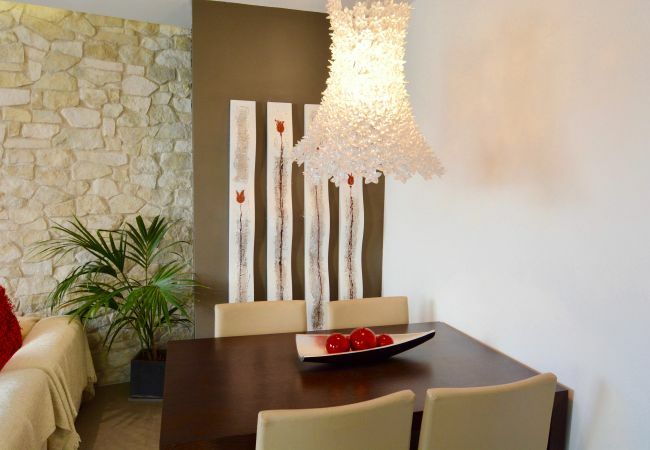 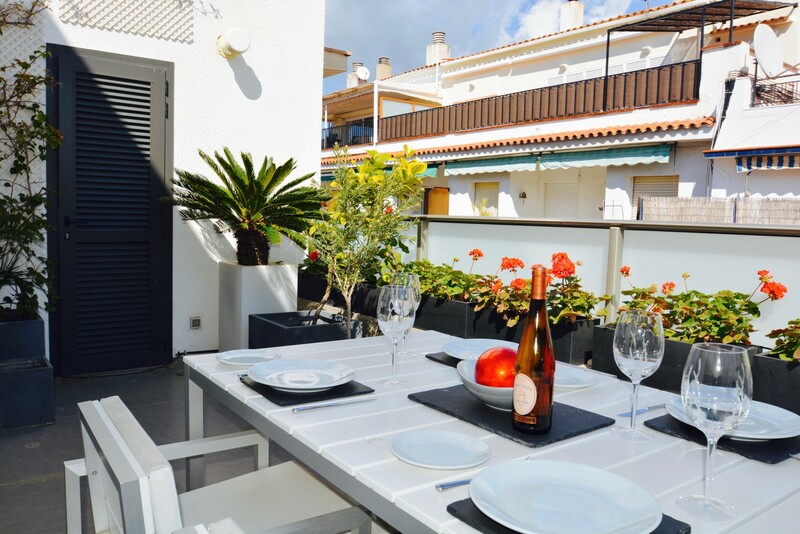 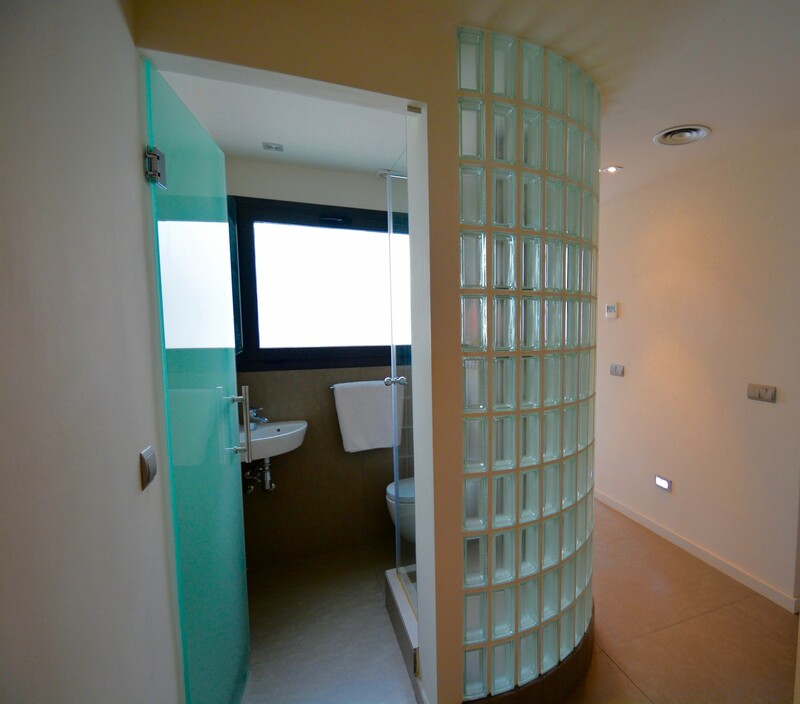 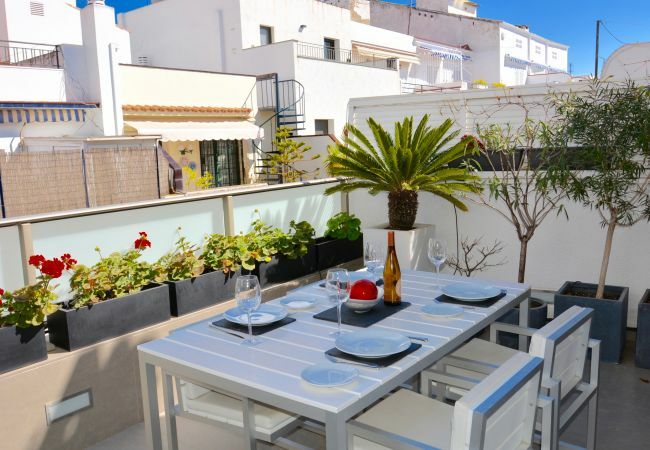 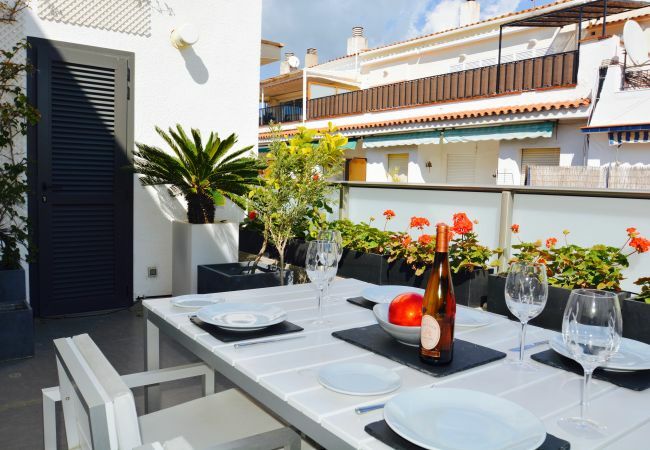 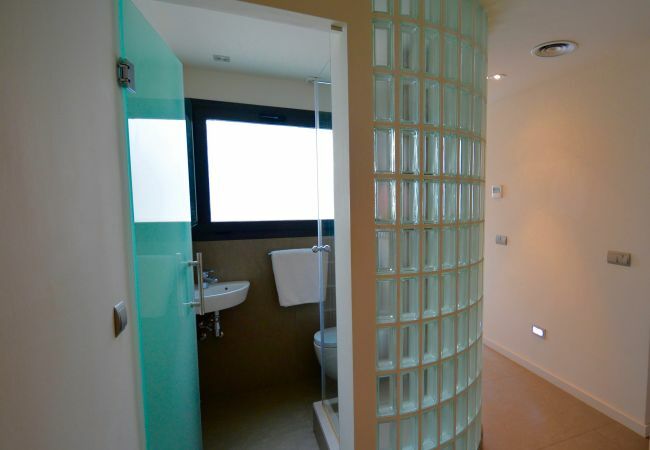 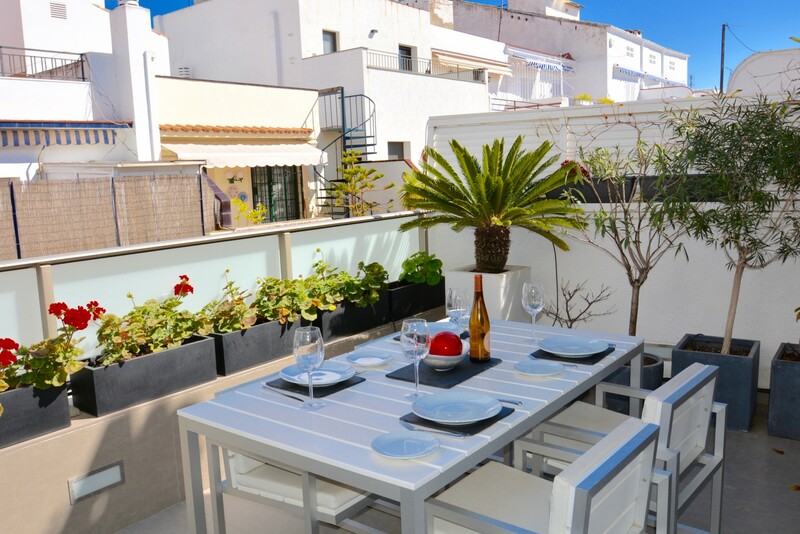 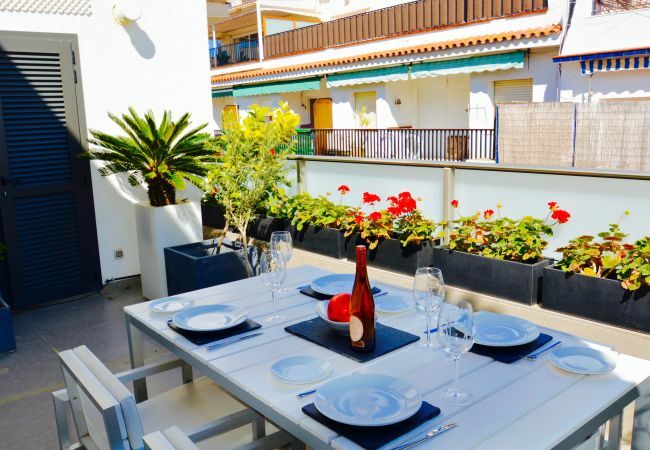 Beautifully decorated and furnished 2 bedroom apartment in the centre of Sitges just minutes from the beach. 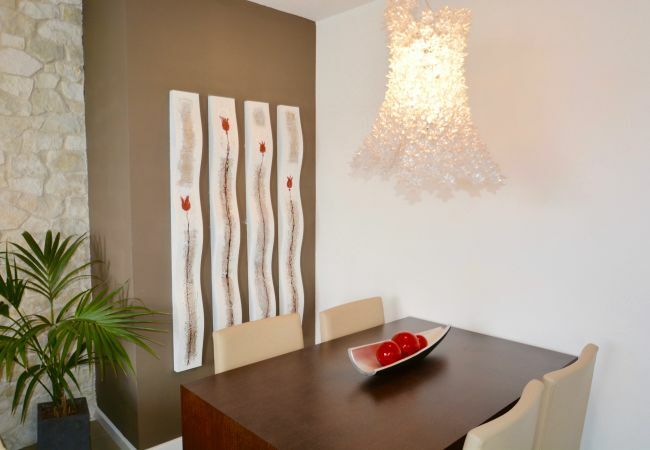 Very high quality furnishings, fixtures and fittings. 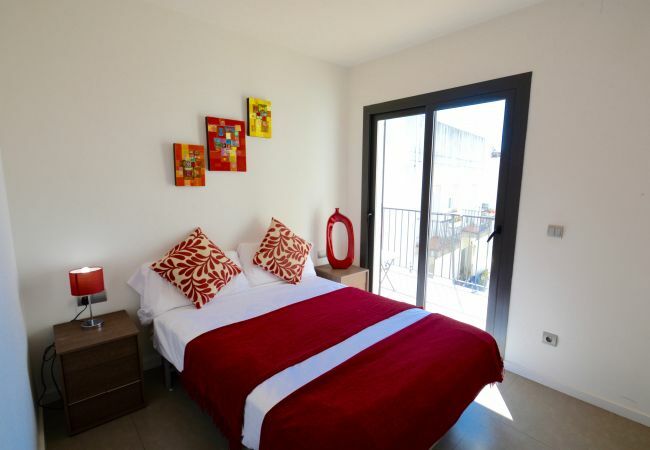 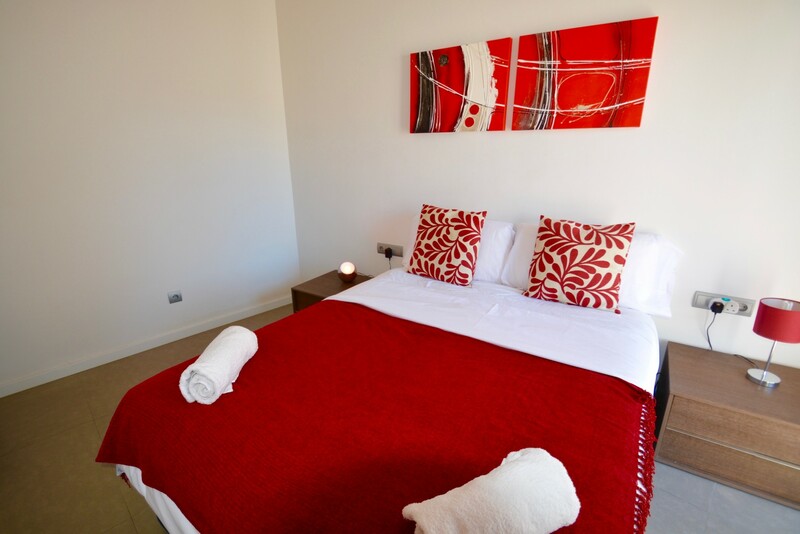 The apartment is air conditioned throughout and consists of 2 double bedrooms (one en-suite) with plenty storage space for all your holiday outfits, a spacious lounge, American style kitchen with all necessary appliances including dishwasher and washing machine. 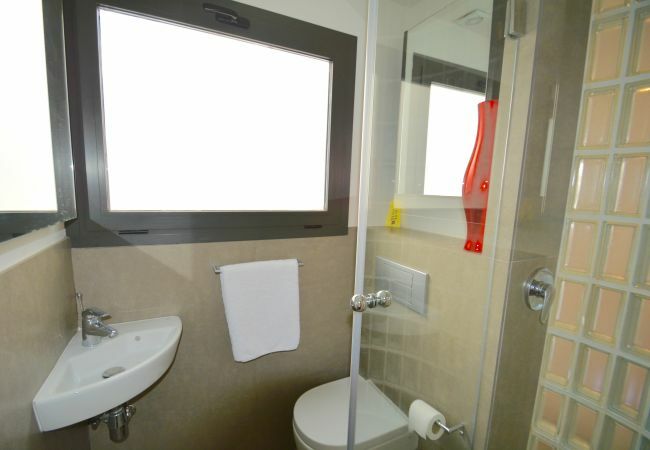 There is also an extra shower room/WC. 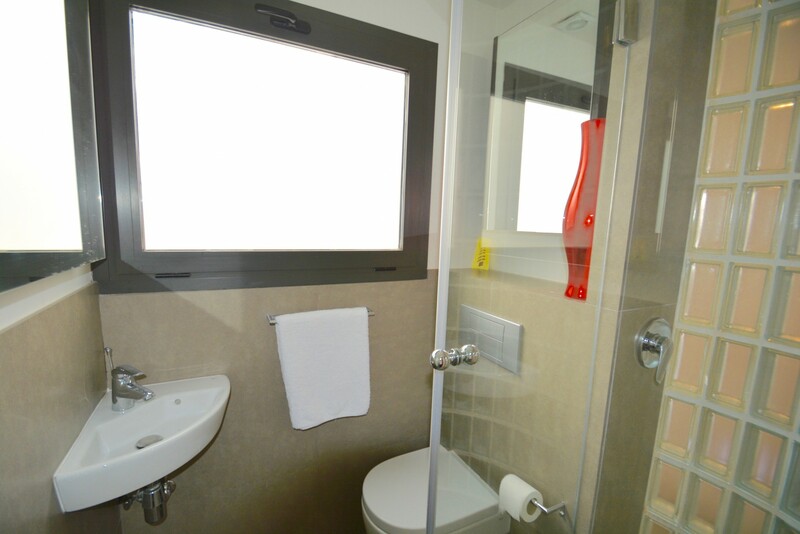 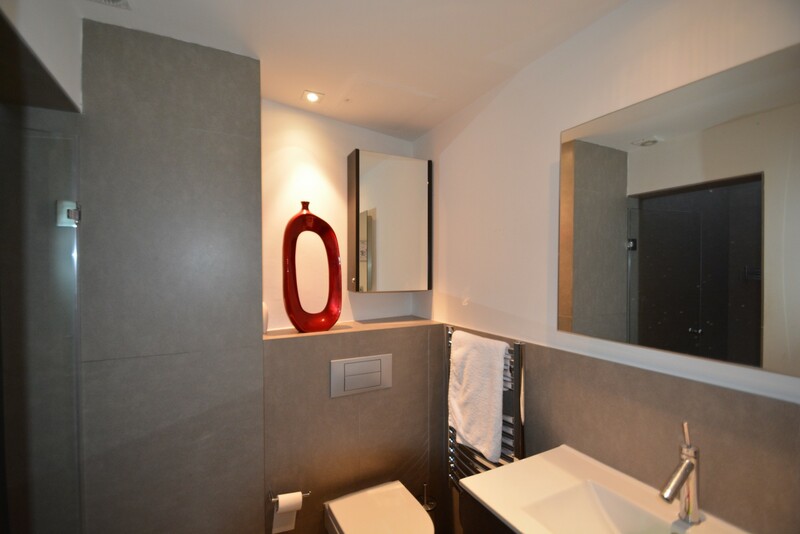 Both bathrooms have heated mirrors so no steam when you're shaving or putting your make up on! 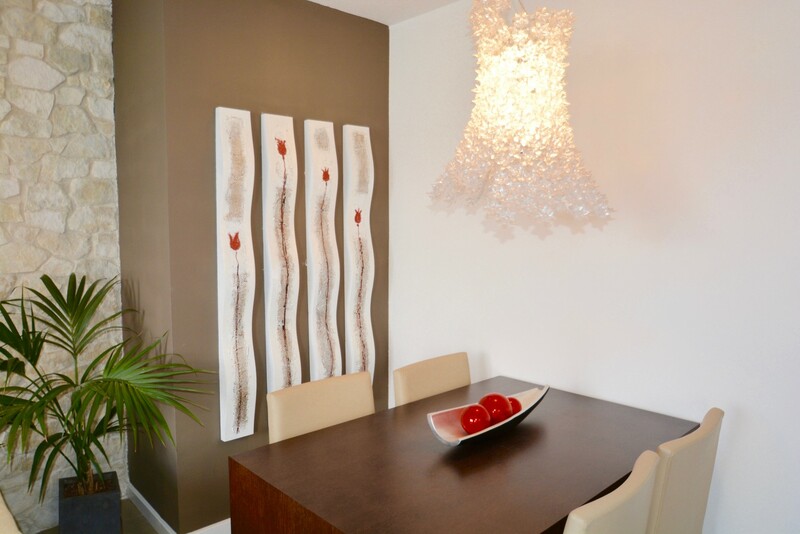 It's the little touches like this that make this apartment special. 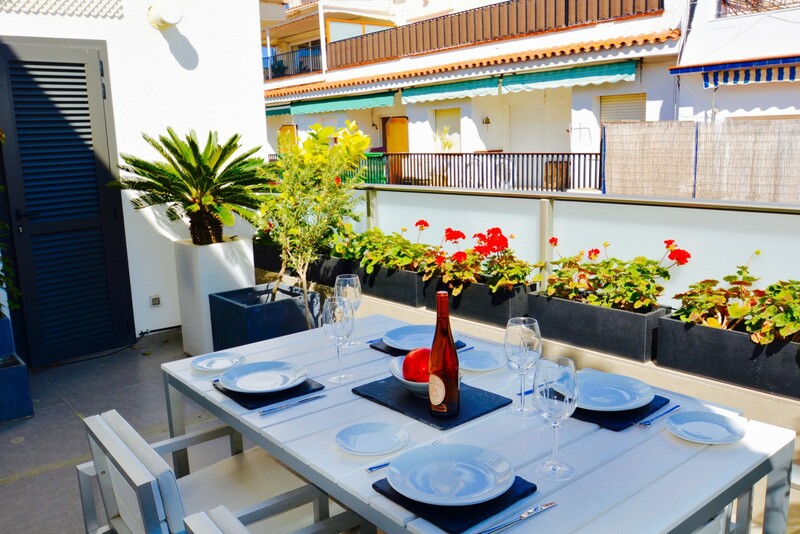 Outside the main living area there is a stunning terrace with dining table and chairs softened by trees and plants, perfect for dining al fresco or just relaxing on your sun-bed with a cocktail. 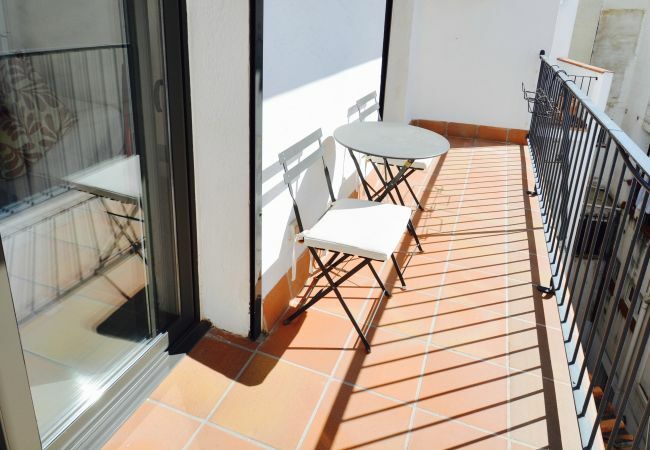 Next to both bedrooms is a smaller balcony with seating and a small table over looking a courtyard. 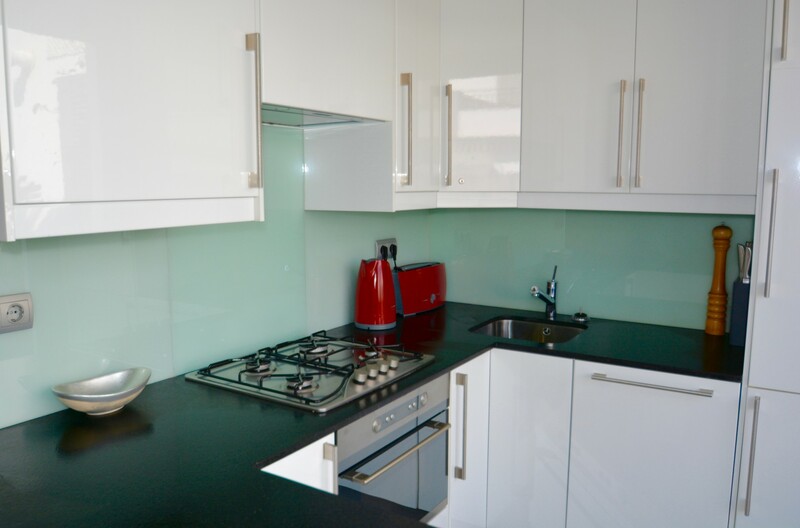 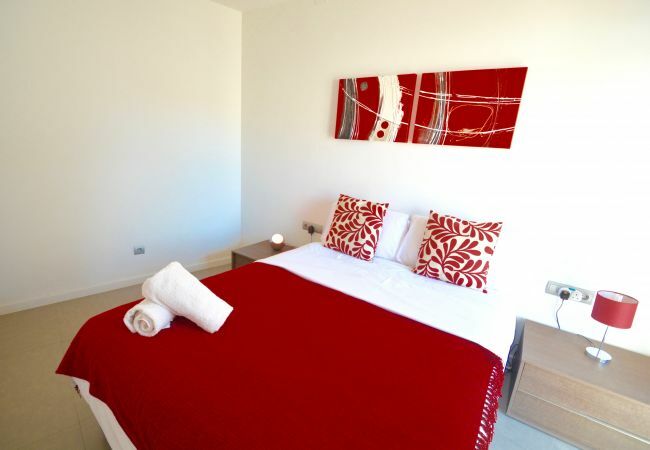 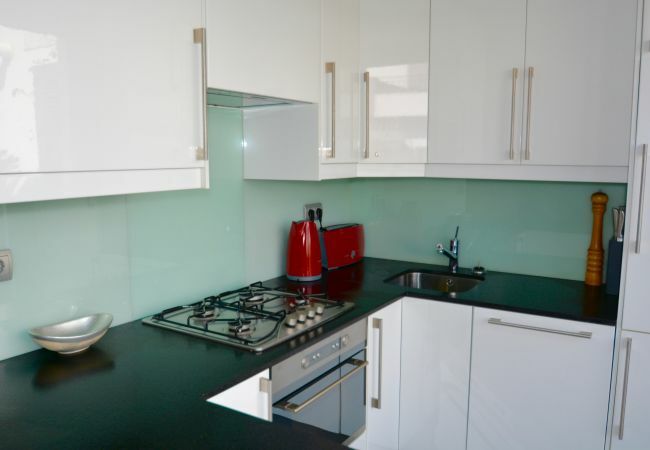 Very high quality accommodation in the centre of town...ideal for those looking for something a little bit of luxury. 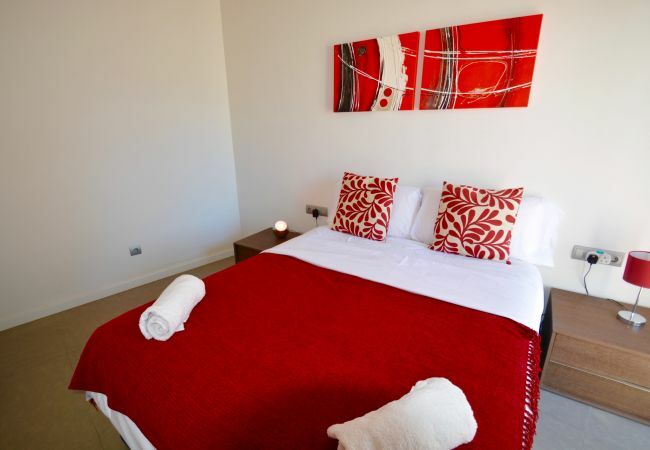 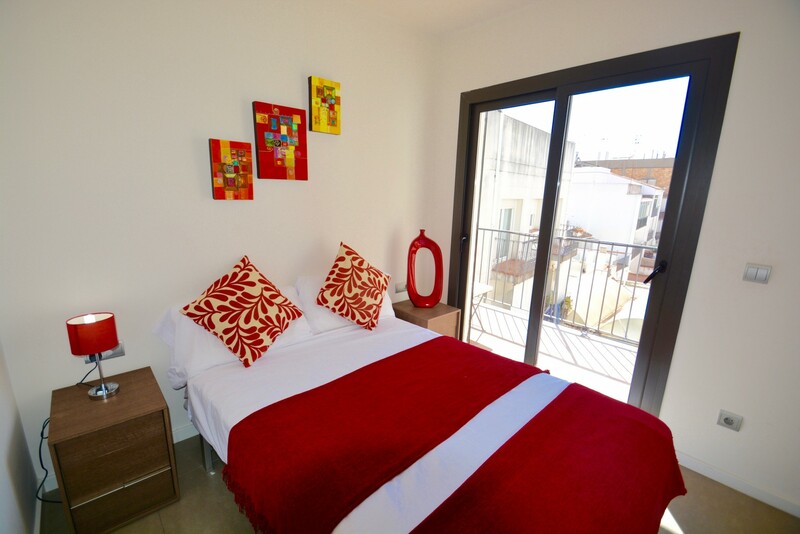 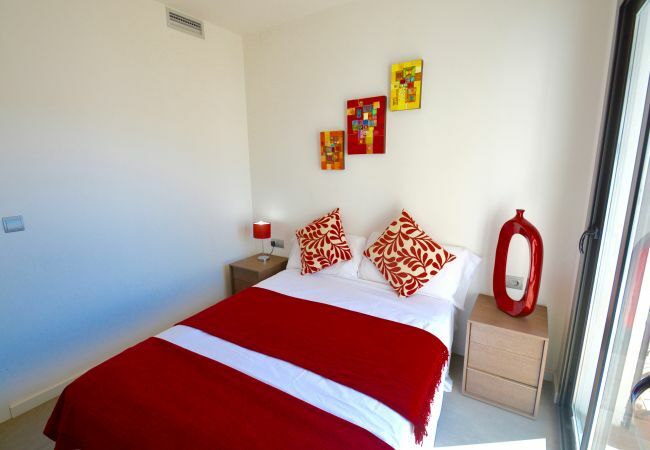 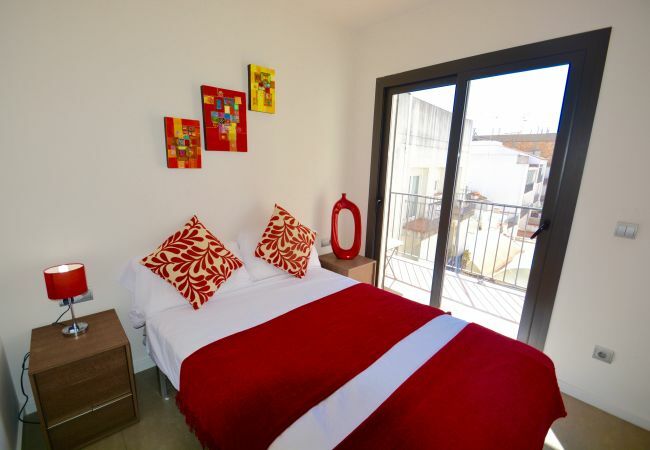 At Think Sitges we provide all bed linen, towels and beach towels for your use. 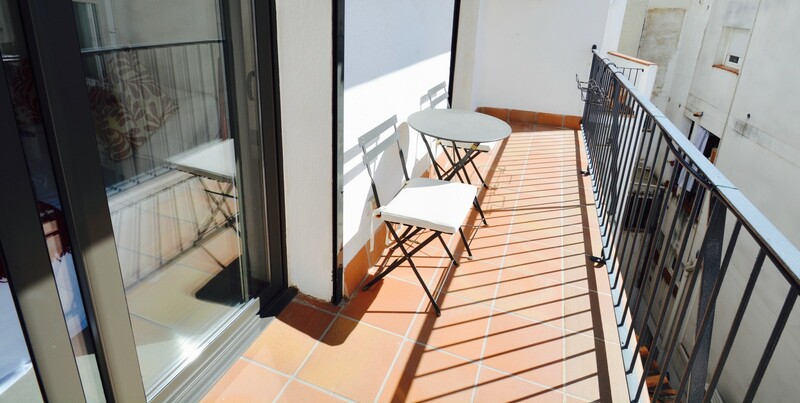 - 1 TV, DVD, 3rd floor, lift, garden furniture, 25 m² terrace, iron, internet (Wi-Fi), balcony, 80 m² property, 100 m² plot, air conditioning (hot/cold), air conditioning throughout the house.